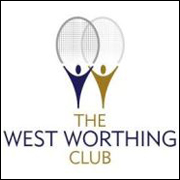 The South of England Masters Open 2019 was played at the West Worthing Club in Sussex. A fair journey for some but the club facilities were excellent and we were made very welcome. Brian and Roz Brock again set up their control centre with computers and large screens for draws and schedules, and the organisation ran like a well-oiled machine. To the Squash. The Women’s 60s was won by Sue Pynegar of Nottinghamshire who won the round robin group with Lynne Davies of Wales taking second. Hilary Kenyon of Cheshire took another title in the 55s overcoming Sarah Howlett in the final after she had ousted second seed Lesley Sturgess. In the 50s two Dorset players were looking for a first Regional title and one, Sharnine Coleman was making her Masters debut. In a close and well-fought match it was Bev Vatcher who got her name on the Honours Board with an excellent 3/1 win. The star of the Women’s 45s this season is former World ranked pro Sarah Spacey of Hampshire and her quality again shone through. Even in the close games she seems to find the telling shot and although the classy Izzy Bramhall ran her close in two games Spacey took a third title of the season and must be favourite for the Nationals next month. It was also a maiden title for the Surrey star Vix Smith who after losing in the East of England final played superbly to overcome Wales International Hannah Rice-Davies in straight games. There was another title for the Silver Fox, Adrian Wright in the 75s as the four-time World Champion stretches his lead on the Regional Titles list to 33, this one at the expense of Ken Reid. There were upsets in the Men’s 70s as Larry Grover of Guernsey outplayed no. 2 seed Barry Featherstone in the semi-final and then squeezed home in three tight games against British Open Champion Howard Cherlin of Middlesex. Back to back titles for Grover, his first two in many attempts, and well deserved. Geoff Redfern of Warwickshire has established himself as the no. 1 in the 65s and in a competitive group won a third Regional of the season to go with a Wales Open title as well. Judge John Goodrich of Suffolk, the National Champion played back into form to reach the final but went down 3/1. for his third title of the season and 15th. overall. The closest final was the Men’s 50s. Phil Yerby of Bucks. put out top seed Steve McLoughlin and against second seed Andrew Murray of Warwickshire had a hum-dinger. The scores say it all. 11/13. 11/4. 12/10. 10/12. 13/11. to Yerby. His first Regional title. Nick Staunton of Ireland is the National Champion and on his way to that beat Jon Gliddon of Devon. He repeated that here with a 3/1 win. Mike McLaughlin of Middlesex also took back to back titles having won the East of England he here produced another fine performance to beat Scotland’s Stuart Ayton 11/9 in the fourth. The Men’s 35s saw many time Regional Champion Jamie Goodrich against Sussex pro and British Open over 35 Champion Tim Vail. Vail is regarded as one of the most talented players in the country and he put on a Masterclass to beat the excellent Norfolk player 3/0. Karakal once again gave prizes to the finalists and this ends the Regional Championships for this season. The National Championships will be in Nottingham in February- details are on the website.